I am loving the simple frosting and the second tier wrapped in delicate lace. But what I love most about this cake is the succulents. This seems to be a common trend with simple wedding cakes – brides are forgoing the bright flowers and adding simple yet stunning succulents instead. And it works. Especially with the added muted color of the flowers. It's simple. And elegant. And stunning. The perfect spring or summer cake. 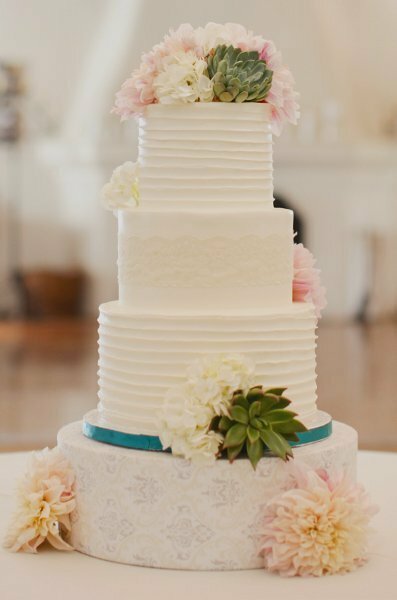 This lovely cake is from the simply sweet cakery in Glendale, California and we found it on the Wedding Wire.